I remember hating Latin in college. Unfortunately, it was required for my degree, so I had to endure. For example, translating a Latin sentence takes a lot of work because there is quite a bit of flexibility in word placement; it was hard to know if “Claudius stabbed Dionysus” or the other way around. So you had to pay attention to grammatical nuance to figure out what was going on. 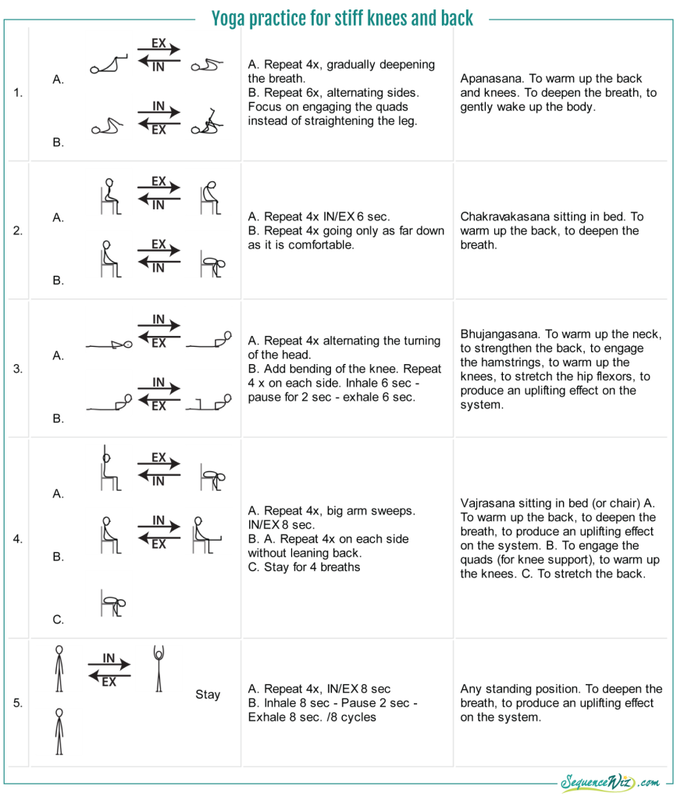 Yoga sequencing is similar to Latin in some ways. Here, too, you have many different elements (poses, breathing practices, etc.) that could be arranged with great flexibility and produce an entirely different result. Therefore, being a yoga teacher is not only about knowing how to do the pose, but also where to place it in relation to other poses to produce the desired effect and minimize the risk. There is an art and science to yoga sequencing. When we think of science, we think logic. It is something that can be rationally explained and something that is systematically organized. The “science of yoga sequencing” refers to the body of knowledge generated over hundreds of years and strategies for arranging various yogic tools into a logical potent practice. 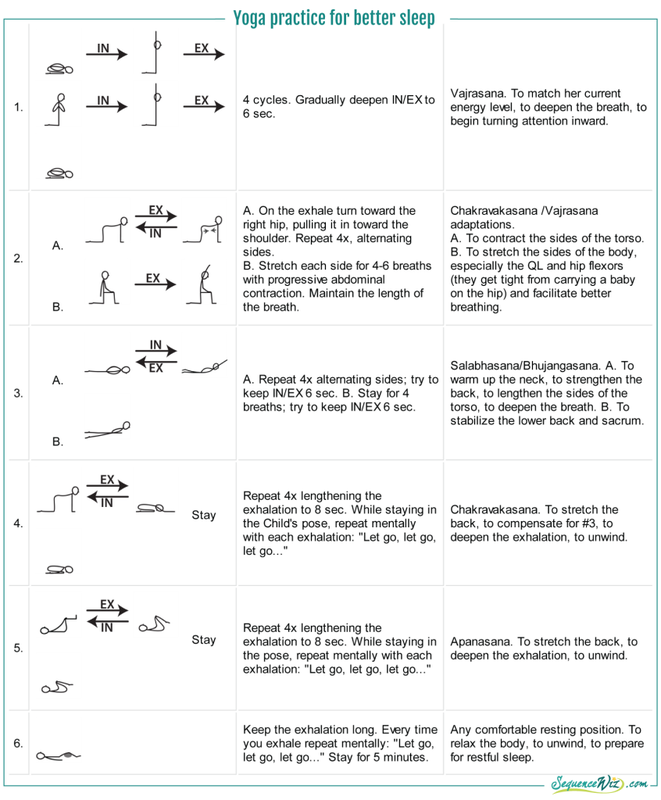 These principles and guidelines on HOW to select appropriate practices and WHY to combine them in a certain way are clearly articulated in the Krishnamacharya/Desikachar teaching lineage. Let’s use some simple examples. There is a group of three poses that I love, I call them “the magic three”. They are magic because almost anybody can do them and most people would benefit from them. Let’s use those three poses (Chakravakasana, Bhujangasana, Vajrasana) plus Apanasana to show how we can adapt their form and rearrange them within a sequence to achieve completely different results. For that we will use 3 hypothetic clients that are loosely based on some of my former clients. Meet Jill. She is in her 40s, works from home and spends a lot of time in front of her computer. She also takes care of her sick mother, so she doesn’t have much time to go to yoga classes. She needs a short routine to do on her own. She is worried about sitting too much during the day and feels stiffness in her hips and back when she gets up. 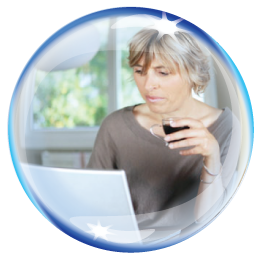 She also experiences an afternoon energy “slump”, where she has hard time focusing on her tasks and feels lethargic. Try the following short yoga practice to do around 2.30pm, right around the time her afternoon slump is about to hit. Here is Anna. She is a new mom to a 6 month old son; she is always on the go from one thing to the next, often with the baby on her hip. She worries about his health and safety to the point that she sometimes feels shortness of breath. She has anxious energy around her and she feels that she can only spare a few minutes of yoga before she goes to bed. She is exhausted by the end of the day, but has trouble sleeping because she keeps listening for the sounds from the baby’s room. 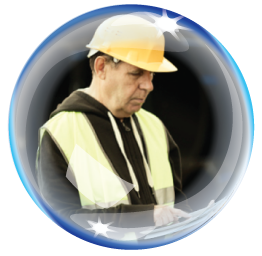 Jim is a construction worker who spends most of his day on his feet doing physical labor – lifting, leaning and hauling heavy things. He got into a habit of popping a couple of Advil every morning because his lower back and his knees feel so stiff. He doesn’t want to be dependent on the meds though and is looking for other ways to “limber up” in the morning. His morning energy isn’t great either, it takes him a while to get going. Starts his day with the following short practice while still in bed as soon as he wakes up, and then gradually transitions to sitting in bed, and then to the ground. As you can see, each practice is meant for the needs of an individual student, taking into consideration who she is, why she needs yoga, when and where she would be able to practice and what would work for her. 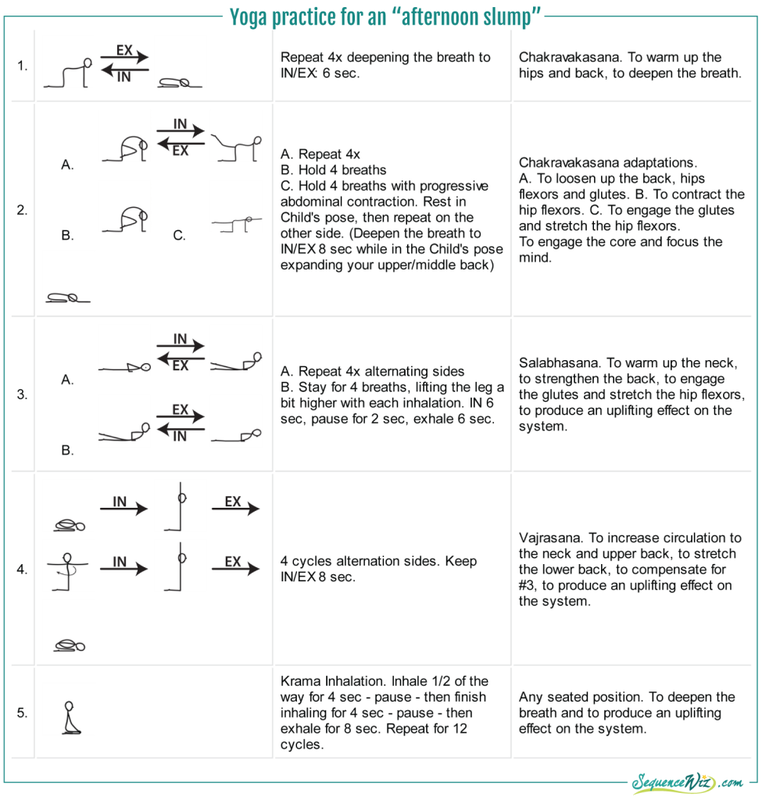 And even the practices made of the same four poses can be adapted to meet the needs of three very different students, if we choose appropriate pose adaptations, arrange them according to the student’s needs and use relevant breathing practices. The science of yoga sequencing refers to specific guidelines on yoga practice design, while art implies “the use of skill and imagination”. The art of yoga sequencing is built on the inspiration and creativity of the teacher; it uses subtle details to breathe life into the practice; it includes the teacher’s ability to make the practice relevant to the student and help her discover something new about herself. The art of sequencing comes from the clear receptive mind of the teacher and grows with experience. Therefore, a skillful sequence is not just a logically arranged set of yoga poses, but a practice that has a positive impact on a practitioner, whether it’s physical, physiological or mental-emotional. Both our theoretical understanding and creative skills are essential in yoga practice design and take time to develop. If you study the teachings and apply those principles in your personal yoga practice and in your work with the students, you will notice that your practices are becoming more refined, harmonious and relevant. In my school years I eventually became fascinated with Latin. I came to view it as an intricate puzzle that, once solved, would reveal inner depth, complexity and elegance that I haven’t seen before. Your yoga practices have the potential to do the same. Tune in on Friday as we feature a case study of a specific student who had a very complicated health history. You will see how we approached his challenges in a meaningful way and created a relevant practice for him. 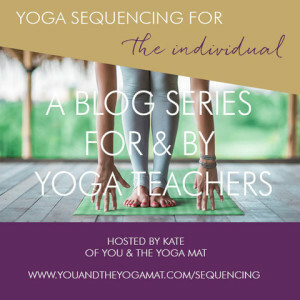 This blog post is one in a series of articles on the topic of Sequencing To The Individual hosted by Kate over at You & the yoga mat. Many interesting articles have been written on the subject. Be sure to check out the post by Paul L Barr from yesterday and tune in to Kirti Daryanani tomorrow. Use the hashtag #sequencingblogtour on Instagram and Twitter to get the posts as they get published. Many thanks for this wonderful information !!! Will be very happy to recommend this excellent practice planning tool to other colleges. thanks 4 the valuable info! Simple yet Effective! That yoga is an Art and Science, is ‘simply’ proven here. Thanks a lot! Excelente artículo!. Felicidades! El libro “Yoga for wellness” de Gary Kraftsow es uno de mis favoritos para la práctica y enseñanza del Yoga. Gracias por compartir su experiencia y trabajo. I have been told by a few yoga teachers now that yoga is not exercise and that it is a means of self realisation (or other variations of that theme). What if a person’s goal is to become strong, flexible, get in shape etc? Does that mean that their goals are not in line with yoga and that a yoga sequence cannot be created for them? Thank you for your comment! This is an ongoing debate in the yoga community and ultimately each teacher and each practitioner needs to decide for themselves what they are trying to get out of their practice. I wrote a post about what is means to me here: http://sequencewiz.org/2013/07/18/is-there-such-thing-as-real-yoga/ The simple answer to your question is: a good yoga teacher should be able to create a practice based on YOUR needs (whatever they are), no matter what her personal opinion is on the subject. Hope this helps! Thank you Emma! Welcome to our community! Omg! Your approach based upon case to case study is such comprehensive and phenomenal. Thank God with a random search I landed up in your blog. Thank you so much. Theres immense things to learn from your studies. I’m just learning to be a Yoga Teacher and trying hard to adopt the sense of direction and feeling or purpose of each Asana in my personal practice. My teacher said, the more you practice intelligently, the more you would be able to understand the purpose or benefits of each move. I know all my fears would go off once I begin Teaching publicly, but I’m still not sure where to start. The art of sequencing Asanas still dreads me, like as how do I sequence asanas to make a class interesting based upon diversity of students. Have’nt started teaching yet although I have a 200 hr YTT, but I wish to begin teaching my aging parents at home in India, do you think its the right way to start? to come out of that comfort zone of practicing alone? Hi Bijoyeta! Congrats on completing your 200Hr YTT! I hear you, it can be a difficult leap to transition to teaching publicly, so your approach of teaching your parents sounds like a good step forward (as long as they are open to that :). Times and times again I find that the best way to truly integrate any piece of information is to learn it, practice it and then teach it. Once you go through this three-step process, it becomes part of your experience. And, of course, listen. Listen carefully to what your students need (especially when working with students individually) and set a goal to teach them ONE useful thing per session. It doesn’t have to be big, may be just how to take a deep breath, but it can have a profound impact. 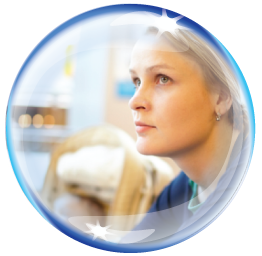 Good luck – you know more then you think!